Resumes just like anything else tend to evolve over time. Though the changes are slight, there are some things that get confused along the way. Information on resume writing is abundant so it can be overwhelming when finding the right way for you. In all the confusion it's easy to overlook some of the common, yet unknowingly made mistakes that are made. If this coming year you'll be one of the many looking for jobs, here are some ways to get an upperhand on the game. Your resume is too customized. It's true that you have a better chance of getting a call back from a recruiter or hiring manager if your resume stands out of the stack of others. But too much of anything is never good. You want too avoid being too much of renegade with your resume as it might end up backfiring. Hiring managers want a resume that peaks their interest without them having to do too much work trying to figure it out. If your resume is just too much to handle either in design, font choice, or format; the person reading it might not even give it the time of day. If you're unable to scan your own resume, neither will anyone else. You keep it classified from public view. Don't be afraid to share your resume with a close friend and have them look it over for you. It never hurts to get a second opinion with a fresh set of eyes. Others might be able to catch things you may have missed and give you some feedback on how easy or difficult your resume was to go through. Plus, something that might make sense to you may sound like a foreign language to someone else. Being too self-conscious, or proud even, could end up costing you that next interview. You didn't bother with a summary statement. These aren't mandatory but are beneficial. If you have some open space on your resume, a summary statement is a good way to fill it. Writing a summary statement should be customized for each job description, laying out the skills you have that are relevant to the job you're applying for. This is different from a resume objective in that it's more skills and abilities focused whereas an objective pertains to your own goals and interests. Of course, in each summary you'll want to highlight the skills most fitting for the position. You gave the employer some of what they wanted... and what they didn't. Employers simply don't have enough time to give each and every resume the attention they require. Resumes typically shouldn't be more than a page long and very direct. They should point out key elements of your experience and background, and leave the blocks of text for your cover letter. Make use of brief sentences and bullet points for your resume, and that way you'll also be able to fit in more relevant information to the job description while still keeping it compact. You weren't specific in your wording. Resumes littered with generic language don't give the hiring manager a clear enough idea of who you are--personally or professionally. It's hard to make an impression on the reader if you're feeding them words they're more than full of. Words like, "dynamic" don't really explain much. Also try to avoid repeating yourself, otherwise guarantee that the reader will put your resume over in the "thanks, but no thanks" pile. Being vague means being bland, boring, and blends you in with the rest. To set yourself apart use words that you feel are unique to who you are and accurately describe your qualifications like "ability to work on a tight deadline" as opposed to "fast worker." Be creative with your writing and remember to keep it specific to each employer's needs. 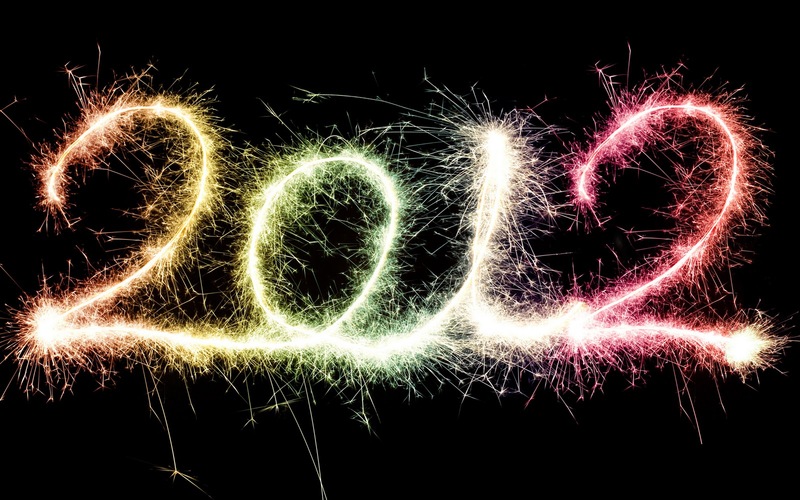 Most people are ready to say "so long" to 2011 and welcome in the new year with all its new possibilities. While the unemployment rate has gone down, there is still a large amount of people who are on the hunt. Depending on where you look there will be more opportunities in some places over others. One of these main industries that has been going on strong since 2009 and will continue to stay that way is social services. A career in social services encompasses many types of jobs. It was stated in a recent article that there were over 121,000 online job ads for the following careers between January and November of just this year. Let's have a look at some of the others. FIREFIGHTER. Despite the risk factor that may deter many people from choosing this career path, there is still the attraction of the rewarding feeling of the job. Those who care a great deal about their communities find this line of work fulfilling and enjoy saving people's lives from dangerous situations. Not to mention the help they do for the environment. Becoming and being a firefighter is tough and it takes a lot of hard work to get though the academy. You'll know soon enough whether this was the right choice for you if you make it through the training without your desire completely diminished. URBAN PLANNER. Urban planners typically find jobs working for the government as about 66% of them are employed by local governments. This type of job is best for people who want to promote growth and add mor life to communities. People who care for the environment and sustaining a harmonic way of life tend to do very well in this profession. EMERGENCY MANAGEMENT SPECIALIST. These professionals are the ones who coordinate disaster and crisis management along with the training required for these types of situations. These jobs can be found at power facilities, hospitals or even in higher places like the government or national or local disasters. CLERGY. Most people forget that there are jobs out there that tie in with ways of life, not just forms of making a living. People who want a career that will keep them close to their faith can find schools where they can ecome a member of clergy in their place of worship. And this doesn't mean the job is exlusive to the church. Clergy jobs branch out into fields such as religious organizations, home health care, hospitals, commmunity house, emergency relief services and community elderly care. SPECIAL EDUCATION TEACHER. Being a special education teacher requires having a bachelor's degree in teaching to go with the necessary certifications. These types of teachers work with special needs students to help them grow in an environment where optimal learning can be achieved. Special education teachers are just as vital to the educational system as any other instructor and have unique skills in working with children. EDUCATION ADMINISTRATOR. The nature of this job is managing the daily activities in a variety of institutions including: schools, preschools, day care centers, and colleges and universities, educational business programs and job training, correctional facilities, and museums. Because the degree for this profession incorporates such a wide range of occupations, many will realize that they need different qualifications anywhere from basic training to to an advanced degree. Over 12,000 jobs ads were posed in this category during the last three months. MEDICAL and PUBLIC HEALTH SOCIAL WORKER. Social work helps people improve their quality of life. People who are passionate about helping others in need are very suitable for this career. 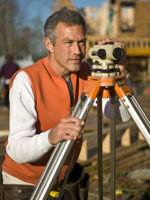 A bachelor's degree is required but can be used in a variety of areas in the field. Social work has many diverse sectors ranging from working in hospitals and schools, or as a family case worker for the local government. MARRIAGE and FAMILY THERAPIST. Therapists are highly sought after as they help people manage and cope with their mental health which aide in preventing certain issues from building up. In recent years there has been more advocation for people to take care of not only their bodies but their minds as well. In tough times where families start feeling stressed out, seeking the help of marriage and family therapists can take away some of the tension. COURT REPORTER. Since 2010, there has been a 78% increase in the need to fill these positions. Certification is needed but upon receiving it chances of finding a job are likely. It can be quite interesting to learn about the inner workings of the U.S. judicial system and how it provides justice for its citizens. A court reporter creates verbatim transcripts of speeches, conversations, legal proceedings, meetings, and other events. MEDIATOR. Mediators are the people who facilitate the negotiation and settlement between disputing parties. They act as the middle man to help give direction and encouragement to the involved parties. They also establish a collaborative effort to reach a mutual solution and are essentially a kind of peacemaker. These are some of the careers that will have bountiful positions for 2012 and are a good place to start in next year's job search. It's good to do as much research as possible to ensure knowing all the necessary information and requirements before applying. Being prepared is always your best bet. This year make your New Year's resolution different than the others. Common ones include losing weight or health improvement, saving money, abolish bad habits, or working on personal relationships. But among these, where does your career fit in? A New Year's resolution is a great way to start giving your career some TLC given the high unemployment rate coupled with widespread underemployment. First and Foremost, A Focused Resume: Make sure your resume is focused on the job description. We all know that employers go through a lot of resumes a day so by fitting resumes to the job description, the impact will be significantly greater than a generic one. No employer will complain about receiving a resume that gives them exactly what they need so take the time to put a little extra effort in engaging the employer. Get In the Game: An easy way to get noticed is by simply monitoring your online presence or checking out the competition's activity. These are ways you can make a conscious effort in doing things before encountering problems and are an uncomplicated way of boosting your image and career. Cliques Aren't Just for High School: More and more employers are turning to niche social communities, both online and offline, in search of the best and most qualified candidates. Get connected with personal and professional friends in talent communities that engage in interaction and sharing. Being active in these communities will increase your chances of getting noticed on an employer's radar. Remember Your Roots: In a futuristic age, make a point to hang on to job search basics. Keep a clean and updated resume and cover letter and don't substitute a genuine thank you note with an email. Using old fashioned tactics can be refreshing and remind employers that there are those out there who haven't given up traditional ways. What are your thoughts on a career-related New Year's resolution? For nearly five years the U.S. economy has been in a recession according to The National Bureau of Economic Research. But with the job market in its seemingly dismal state, it'd be easy to assume that that number would be much higher. For as long as this recession has been in effect, there's been a growing epidemic of fear that our very livelihoods could be ripped away from us without a moment?s notice. With all this surrounding insecurity instilling in us worries about employment, home foreclosures and increased costs of living, many of us forget that there is always a light at the end of the tunnel. Always. For many Americans, finding a better job can be nearly impossible, let alone holding on to one, but there are ways to keep a bad situation from getting worse. You just have to know where to find them. Little would you know there are actually a number of industries hidden among the once desirable but no longer practical ones that are looking for new hires. They are looking for you. These fast-growing fields with relatively low barriers of entry are perfect for helping you earn more and get ahead. Those of you who are unsatisfied in your current work situation and are eager to put some life oomph back in your life, consider broadening your career options. Even if you feel that making a dramatic switch may be too risky, that risk can sometimes be necessary. Using Bureau of Labor Statistics forecast for 7,000 titles, the CNNMoney staff teamed up with compensation website PayScale.com in October to identify the Best Jobs in America for people seeking a fresh start. The job: As technology evolves rapidly, companies continue to need developers to design, test, and debug software programs for mobile devices and apps. Since the landscape changes so often, even longtime developers frequently need to retrain and learn new programs, lowering the barriers to entry for job switchers. How to switch: If you have a technical background, all you need are self-study courses for vendor-specific program certifications. Tech newbies should start with a programming course at a local college. The job: Health care is a booming field, and the demand for physical therapists is increasing apace. You'll need to go back to school to learn the techniques for increasing patient mobility and decreasing pain, but the two- to three-year graduate program is still far shorter than the time it takes to become a doctor. You can do a nursing degree in that time, but pay and satisfaction are better for PTs. How to switch: You'll need a master's or the increasingly common three-year doctorate. Learn more at apta.org. The job: Boomers wrapping up their careers need guidance managing their retirement, creating demand for advisers. A financial background helps, but equally important are strong interpersonal skills. How to switch: To become a certified financial planner, you'll probably need course work in financial topics like investing, retirement and taxes, and you must pass a 10-hour exam (go to cfp.net for more information). To be fully credentialed, you'll also need three years of relevant work experience. The job: The country's aging infrastructure won't be able to keep up with its growing population without the help of civil engineers. In this field you supervise and design bridges, highways, tunnels, and water and sewage systems. Though the industry has slowed along with the economy, the long-term growth potential is strong, says Kathy Caldwell, president of the American Society of Civil Engineers. How to switch: This switch will be smoother if you've studied math or physical science. If not, coursework can take around 18 months. A two-year master's degree is recommended, but some jobs don't require it. For a license, you'll have to pass an exam and amass about four years of relevant work experience. 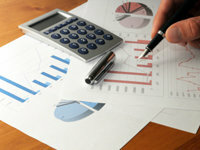 The job: According to a recent survey, chief marketing officers expect marketing budgets to increase 6% from last year. That means more work for marketing specialists, a job where you can focus on areas as narrow as social media or search engine optimization, or be responsible for all aspects of promoting a product including pricing and advertising. How to switch: Little formal training is required. You'll have an easier time getting your foot in the door if you have experience with audience engagement or creative thinking. Plus, better to stay in an industry you know. The Business Marketing Association also offers professional development courses. The job: What every business needs, particularly in the wake of the recession, is someone who can come up with ways to improve work flow and profits. That's where management consultants come in. But those interested in trying out this field need to be disciplined enough to work independently and under the pressure of strict deadlines. A willingness to travel is also important since many consultants work on site. Long hours and a little jet lag just go with the territory. How to switch: It's strongly advised to get a few years of experience under your belt before giving management consulting a try, but there is no specific licensing required. Those with some experience in the field can get certified, which may give job seekers a competitive edge. The Institute of Management Consultants USA offers both professional development courses and a management consultant certification (go to imcusa.org for more information). The job: After hoarding cash during the recession, many firms are beginning to invest in technology again, much of it focused on mobile devices and applications. To master these complex areas, many firms are enlisting the help of IT consultants, who can recommend and implement improvements to IT systems, resolve system problems and manage the installation of new software and system upgrades. How to switch: Most IT consultants have bachelor's degrees in computer science, engineering or other related fields, but many consulting firms require an MBA. The job: Demand for database administrators has been fueled recently by the growth in cloud computing. Many businesses are storing their data and applications on networks via the Internet instead of investing in servers and other infrastructure, and they are turning to database administrators to help manage their assets and keep them secure. As a database administrator, you identify the most effective ways to store a company's data, keep it safe and troubleshoot when problems crop up. How to switch: Most database administrators have a bachelor's degree in a computer-related field. If you don't have extensive undergraduate training in technology and computers, a professional credential ? such as getting Microsoft certification or an MBA with a concentration in information systems ? is a good avenue into this career. The job: As a financial analyst, you study financial information to produce forecasts of business, industry and economic conditions and recommend investments and investment timing to companies, investment firms, or the investing public. Given fast-changing economic conditions and the use of complex securities, such as derivatives, demand is high for talented financial analysts. Banks, mutual funds and hedge funds are major employers. How to switch: Most financial analysts have at least a bachelor's degree in a related field, such as finance, economics, statistics, accounting or business. A valued credential is the chartered financial analyst (CFA) designation. If you're entering the sector from another industry, an MBA or a master's degree in finance or economics can pave the way. The job: Want to save the earth and earn good money? As an environmental engineer, you get to apply your knowledge of biology, chemistry and other natural sciences to tackle problems such as pollution, waste management and recycling. These skills are quickly becoming sought after as businesses adjust to new water and air regulations, especially in the industrial and manufacturing sectors. Green initiatives are also beginning to catch on in several industries, including automotive (hybrid vehicles) and energy (like Shell Oil's move into wind energy). How to switch: If you have experience in a related engineering field -- such as mechanical, civil or industrial -- a master's degree in a natural science like geology may be a good stepping stone. 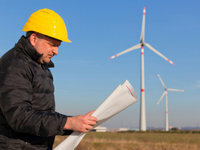 Almost all environmental engineers have bachelor's degrees in an engineering discipline. You may have been told at some point that it's not about what you do, but who you know. In the work force, this is very true. While obtaining a job does heavily depend on your qualifications, having an extensive network can be highly advantageous and greatly improve your chances of landing an interview and subsequently, a job. Create a list to guide you along the way. Think of the type of position you're after and who in the business you want to target. Why do you want to meet them and in what ways can they help you in finding and obtaining the position you're looking for? Getting all this down before you start making any moves will help you make smarter decisions about who to network with and why. This will keep you from going all over the place and mixing with random people irrelevant to your specific goals. You want to make ever connection count. Prepare things to say at a moment's notice. Have an idea of the impression you want to make on the person you're addressing and keep your subject matter focused on the important key points like why you want the job and what skills you have to contribute. Don't exaggerate or over-embellish. You want to remain honest and sound like you know what you're talking about otherwise people will not take you seriously. Also, keep it short and simple. Just get your message across without getting carried away and bragging or becoming boring . 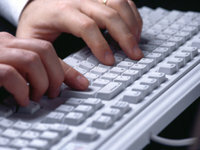 Online networking are an extremely useful resource for job seaches. Get your resume out there and allow people to find you. Among the numerous sites available for finding jobs, there are also ones intended for specific job types that can make your search easier. Don't limit yourself to only certain resources though, you end up limiting your chances of meeting people with the right information. Do research on where to go to put your plan to the test. Find out when career fairs are going on or social functions that pertain to the people within your preferred industry. Whether you're looking to move up or move on, you need to know where the people you want to follow are and how to reach them. Conventions and seminars are also helpful in that they bring together individuals with the same interests. Consider yourself as somewhat dating within an industry and like any single, you need to put effort in getting back on the market. Take into consideration some of the people you know or reflect on the past jobs you've had in your life and think about how those jobs were obtained in the first place. Somewhere in there, someone else had to have lent a helping hand. Networking has become a way of life; an inevitability where knowing the right people in the right places can get you through the right door.